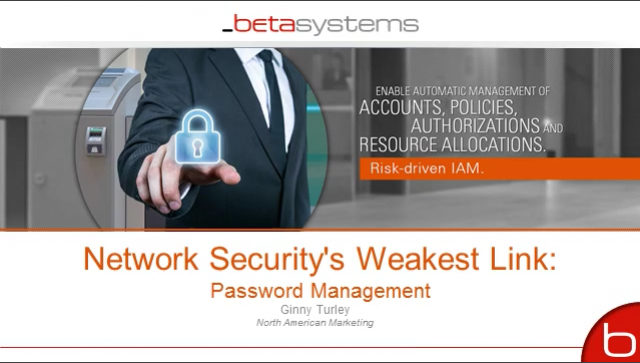 While network security encompasses both the physical and software preventative measures to prevent and monitor unauthorized accesses or misuse of a computer network, the adoption of a password management policy and strategy can be foundational to the prevention of unauthorized uses of network resources. In many cases, simple password management is the weakest link. In this webcast, we'll explore what needs to be done to strengthen this important and oft overlooked aspect of network security and discuss password synchronization, and self-reset functions that can save time and money - and a lot of post-it notes as well.